All of you rebels have something that makes us unique. Whether it is the tattoos you have, or the color of your hair. 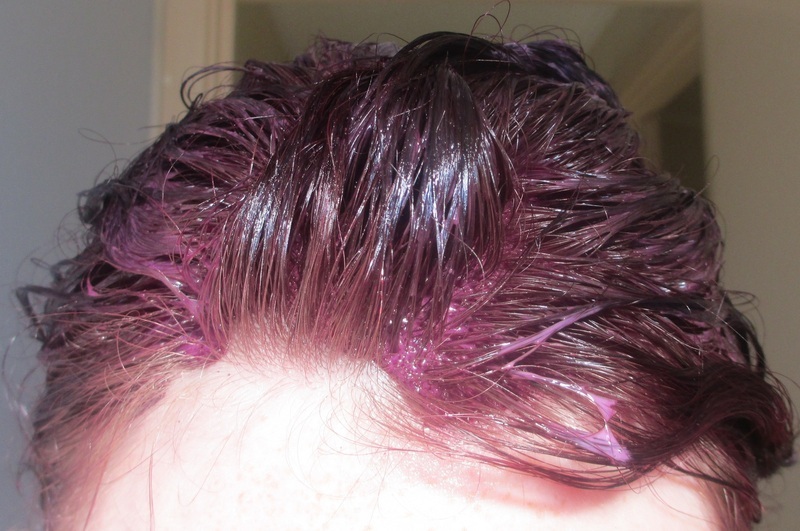 In this article I will show you how to bleach and dye your hair at home! 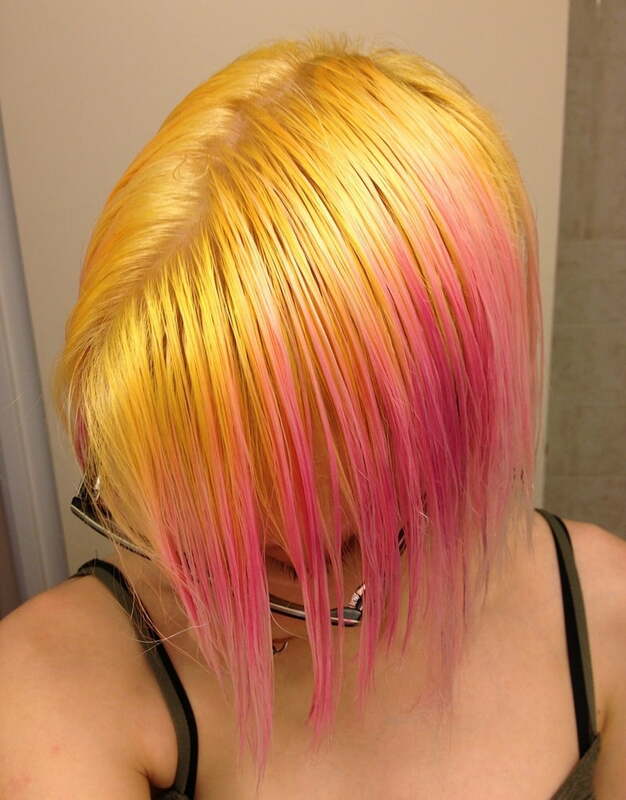 It is possible to get a unique and funky color without damaging your hair. Pastel Goths know what I am talking about. So have you ever wondered how it is possible to get those colors? 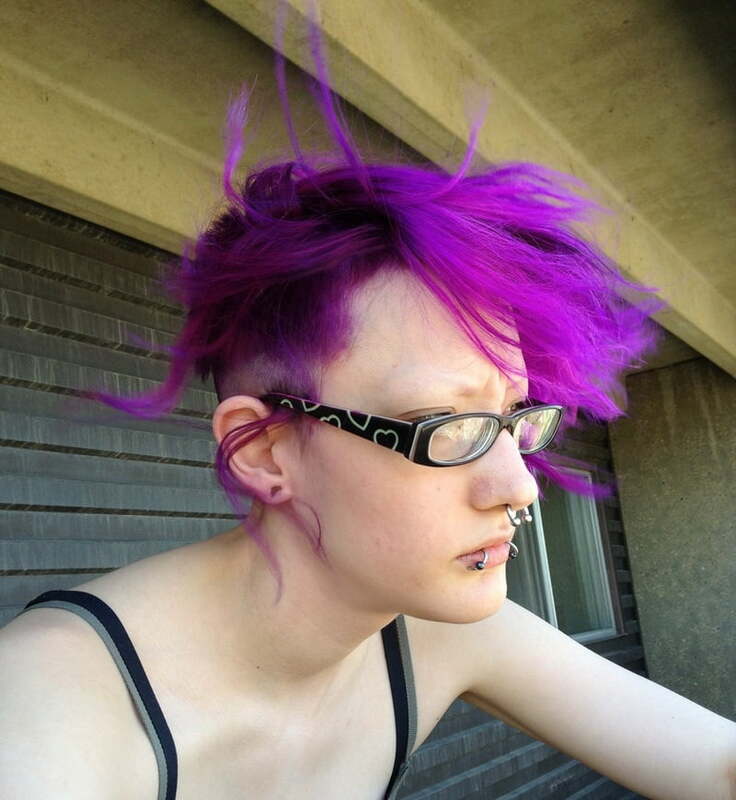 I will try to keep this as simple, and as brief as possible since it really is that easy to bleach and dye your own hair at home. It isn't as scary as you might think! So make yourself comfortable and let's begin! First things first of course, get your bleaching supplies ready and together. Developer, bleach powder, something to stir it together, make sure it is not made of metal, and obviously something to mix it all up in, again not metal. I generally mix together the powder and developer until it's a little more runny than whipped cream. You can add more or less developer, it's all really up to you just as long as it isn't too thick. Make sure to do it in a well ventilated area; The ones I use aren't very harsh at all on the nose, but it's still very noticable. Apply the bleachy concotion onto your head. Make sure to use a 30 vol. bleaching developer because the 40 is usually too harsh on a lot of hair and it will fry it if you aren't careful. It's up to your own discretion. Wait between 15- 30 minutes or as instructed on your developer. Some can be left on for an hour, but I don't recommend ever leaving bleach in for that long, unless you want to lose your hair. Rinse it all out, careful not to get any in your eyes or anything. You can shampoo your hair a little bit at this point, I usually do it just to make sure that all the bleach gets out of my hair although it will dry it right out. Don't condition your hair just yet bt give it a break for a few days before colouring, then condition away! After about a week or so, you are ready to dye your hair. This gives your hair enough time to recover and regain its strength. 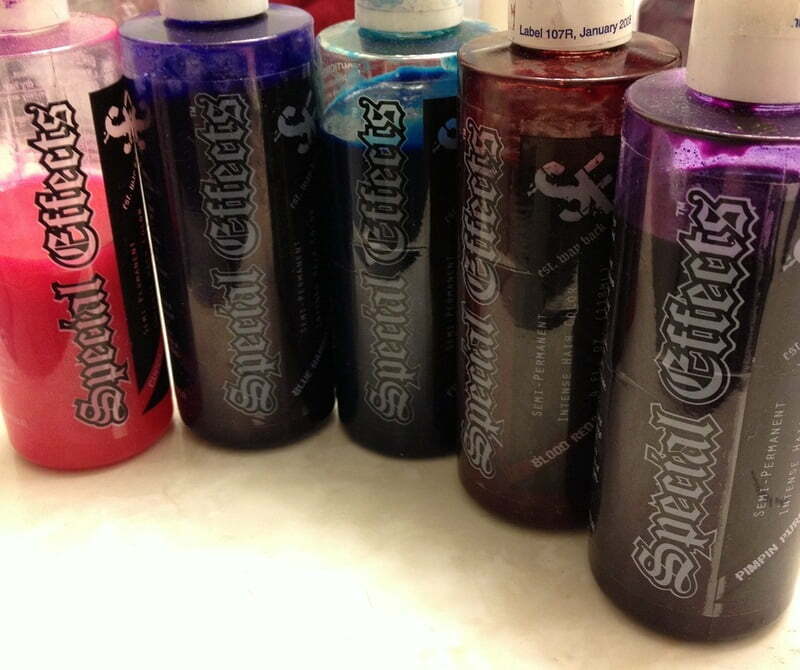 Get your hair dye all ready, choose your colour and begin the fun process of dying your hair! ...And hopefully not everything else in your bathroom. Make sure that you're wearing gloves or else your hands will be stained for a good few days. Apply petroleum jelly around your hair line and ears so as not to stain your skin. 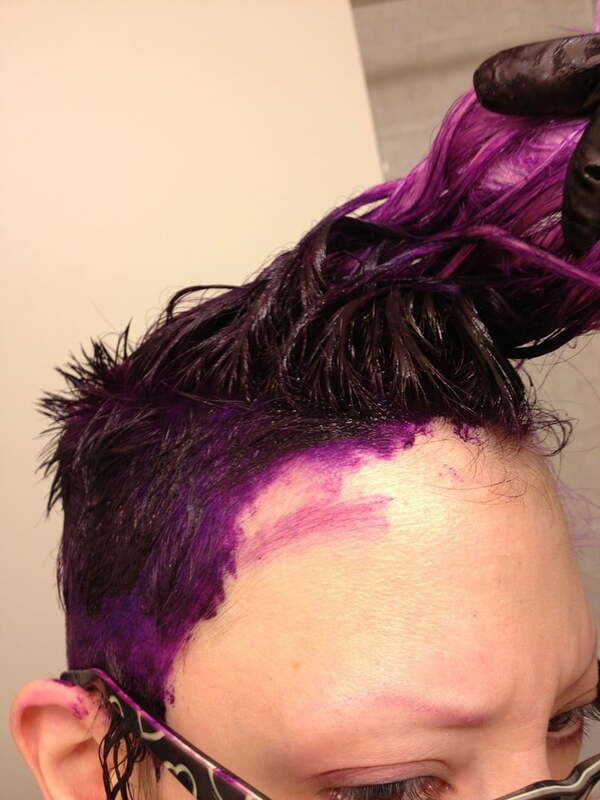 Apply the dye on your hair wherever you want it, making sure not to miss any spots! 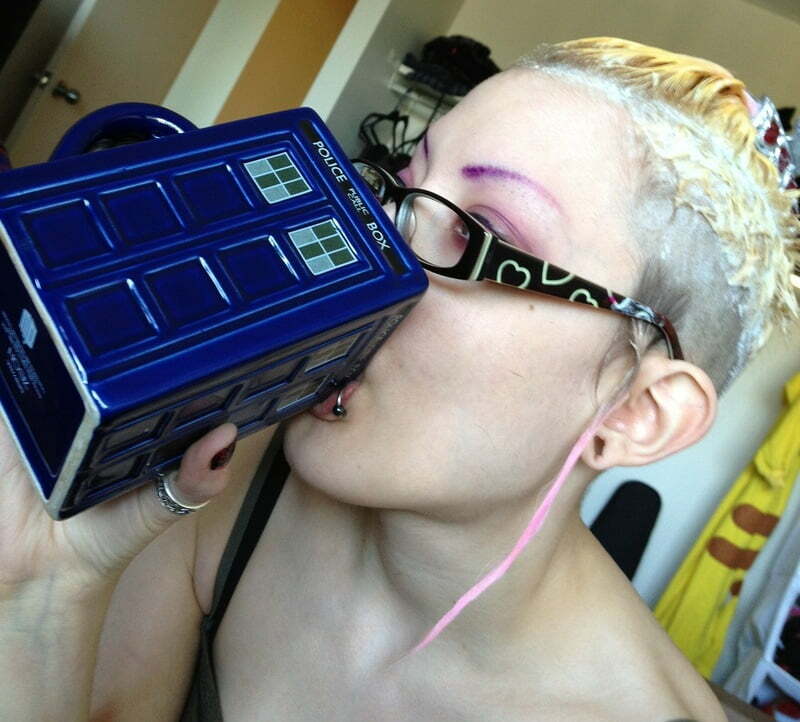 Go watch some 'Doctor Who' while your hair dye sets in, preferably for a few hours. I will even leave mine in over night if I do it all late at night. An hour or so though, should be perfectly fine for letting it rest and sink into your skull. Rinse it all out, watching your bath tub turn into a rainbow of coloured proportions. Don't worry if your bathtub gets a little stained, that does come out completely after a few days, trust me. Wear gloves while you rinse out your hair again, if you care about your hands being a strange shade of colour. Let it dry and enjoy your new hair! Ypu are now ready to paint the streets whatever color you applied.​ Make sure to match your new haircolor with some edgy clothing and accessories. You should note, depending on the dye or colour, it will most likely bleed a lot for the first few days. Just be careful when getting your hair wet or anything of the sort. Most of my pillow cases and sheets are black for the very reason, I've woken up to stained pillow cases and dyed faces. Hahaha. So just be cautious and know that it's perfectly normal. Wash your hair in cold water and use shampoo and conditioner meant for dyed hair. 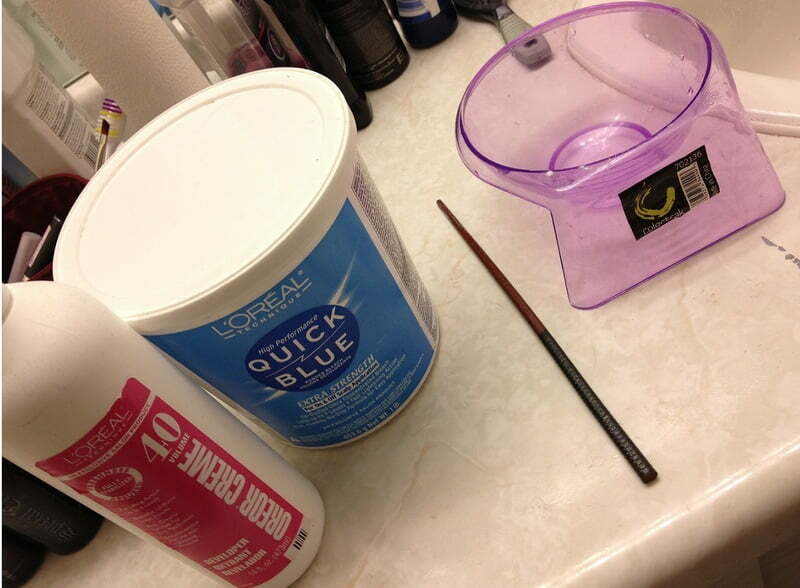 If you want your colour to last even longer, you can add some hair dye into your conditioner. If you don't want to lose a lot of colour but you need to wash your hair every single day, invest in a dry shampoo or go the cheap route and use plain old corn starch. It works immaculately in getting rid of that gross oily hair look for awhile. Any other comments or suggestions you may have? Comment below. Courtesy of pinterest, goodmorningangel.blogspot.com, tumblr.com, darkbeautymakeup.com.